This post was originally posted on foodiecutiecooks.com and republished here with permission. 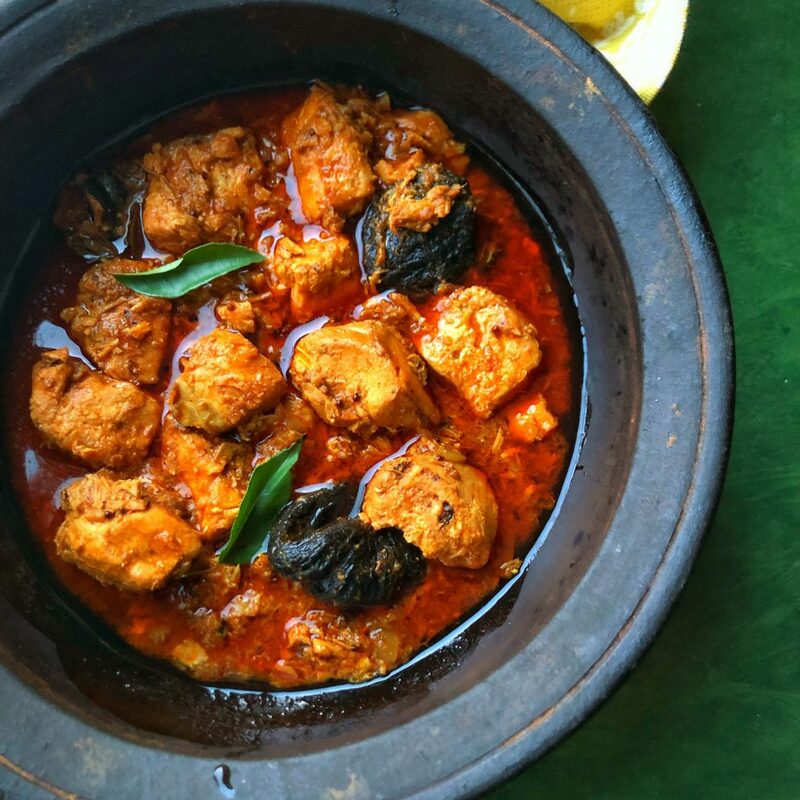 For me, this spicy, lively red, tangy tamarind Red Fish Curry recipe is the essence of Kerala. As a kid, I mesmerizingly watched mom scale and filet a whole salmon or king fish with such practiced ease. As she got the fish prepared, she’d have the kudam puli (also known as the superfood everyone was raving about years ago, garcinia cambogia) soaking in warm water. While that was soaking she would be prepping and cutting up fresh ingredients like ginger, garlic, and shallots. What a process it was to watch. My favorite part of this dish was its preparation in our old black, clay meenchatti, which is an earthen clay pot. Similar to why people love cooking with cast iron or woks, it holds its flavor over time. 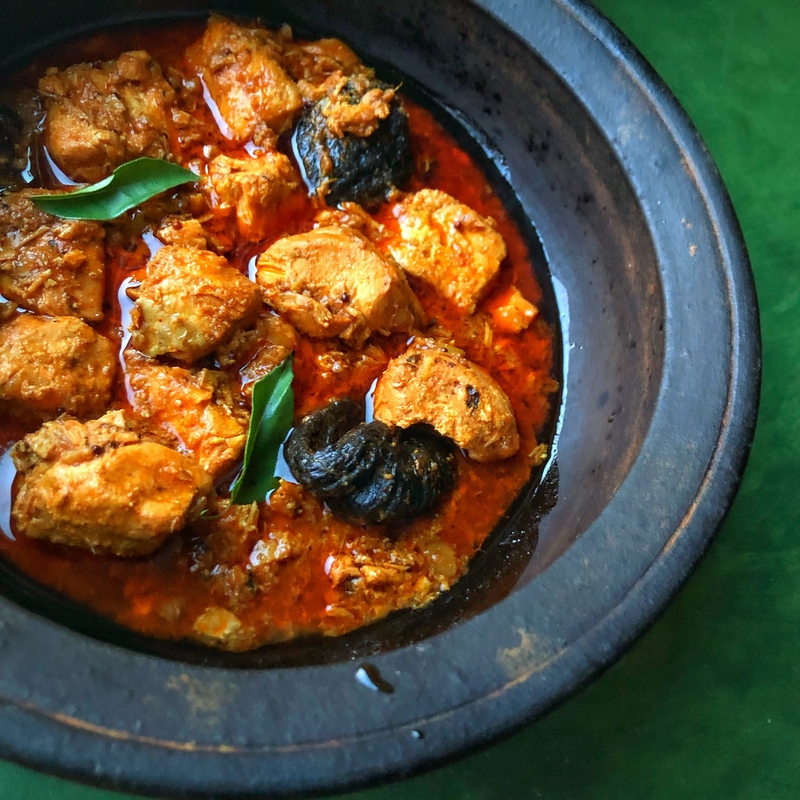 Because the chattis are not glazed (meaning it’s porous), it’s able to retain and circulate moisture throughout the dish making the fish extremely flavorful. 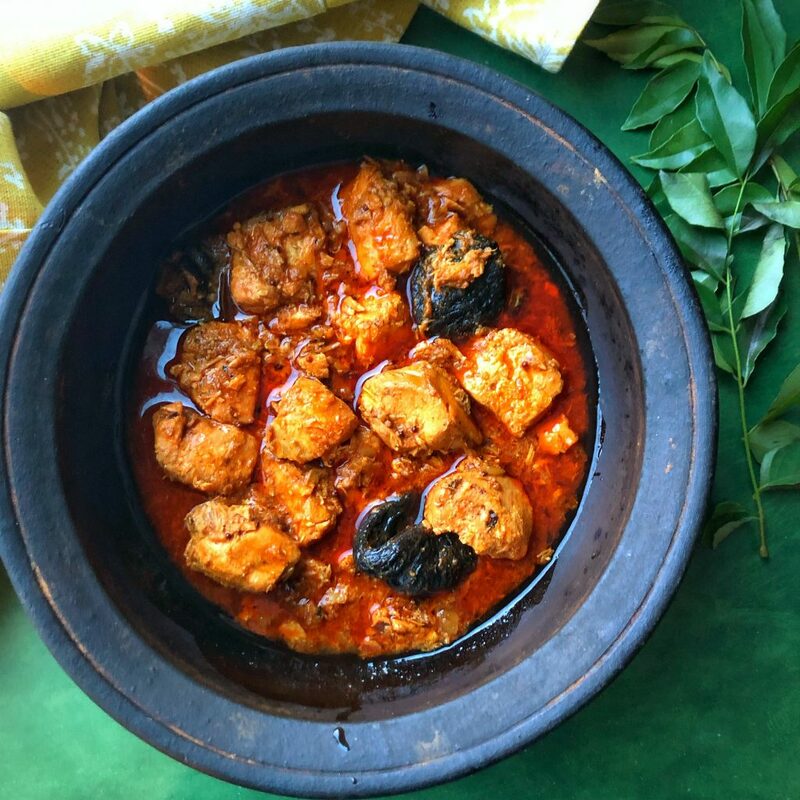 If you do not have a chatti, you can still make this dish in a regular pot or dutch oven. This used to be one of those recipes I was so intimidated to make because it is such a staple dish in our household. I’ve broken this down so that it hopefully makes it easier to follow and for you to recreate. 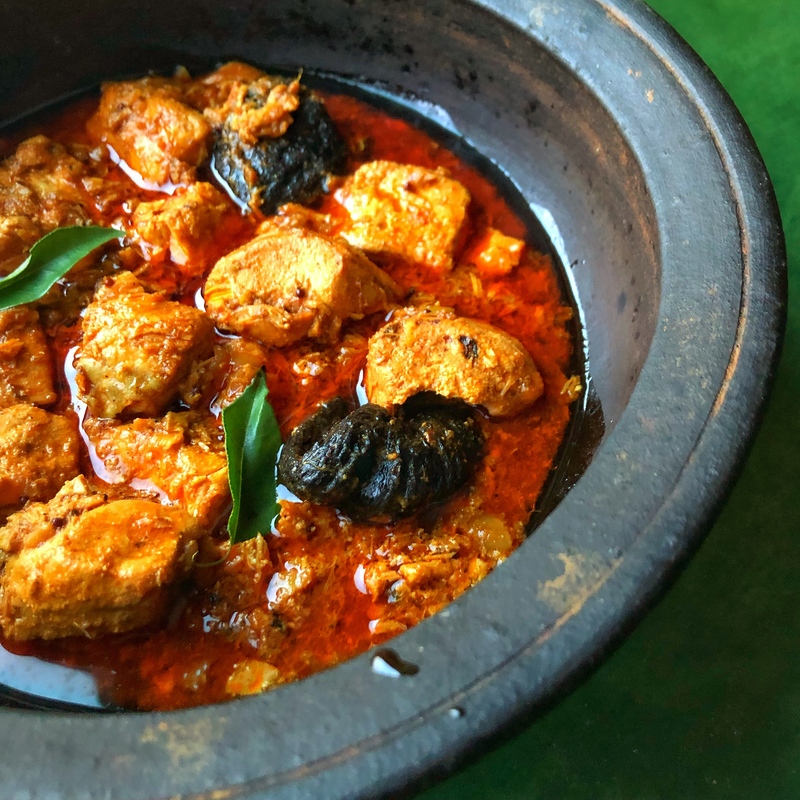 If you have questions along the process of how to make red fish curry, head over to my Instagram where I have a behind-the-scenes video saved to my highlights showing how to make this dish and so I can connect with you and answer any questions you might have via DMs. Soak the tamarind. Wash the tamarind pieces first and then soak it in warm water. Set aside. Season the oil. In your chatti or pot on medium high heat, add in the coconut oil. Once the oil is melted and hot, add the mustard seeds, fenugreek seeds, and curry leaves. Once the mustard seeds pop, add in the ginger, garlic, shallots, and green chili peppers. Cook this until the ingredients soften and lose its rawness. Form the gravy base. Now add in the red chili, coriander, and turmeric powder. Mix this quickly so the spices don’t burn. Pour in the tomato paste. Drain the tamarind (reserve the water) and add into the pot along with all of the fish. Cook the fish. Now that the fish is in the pot, DO NOT mix it. If you move the fish too much, it could cause it to break up into pieces. I recommend using a soft silicone spatula if you need to move the fish or the best thing to do is rotate the pot. Keep this covered on a low boil (medium to medium-low heat) for about 15-20 minutes, checking periodically to see if enough water has extracted from the fish. If there isn’t enough moisture from the fish then add some of the tamarind water and/or warm water to the pot, just enough to barely submerge the fish. Boil this until the gravy slightly thickens. Taste for salt and done! Previous articleThe Comedy Return of Aziz Ansari Begs the Question: Is Forgiveness Possible? 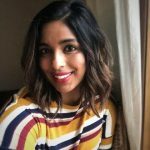 Ann Ittoop (aka The Foodie Cutie) is a food blogger who cooks up South Indian food from a first-generation perspective. 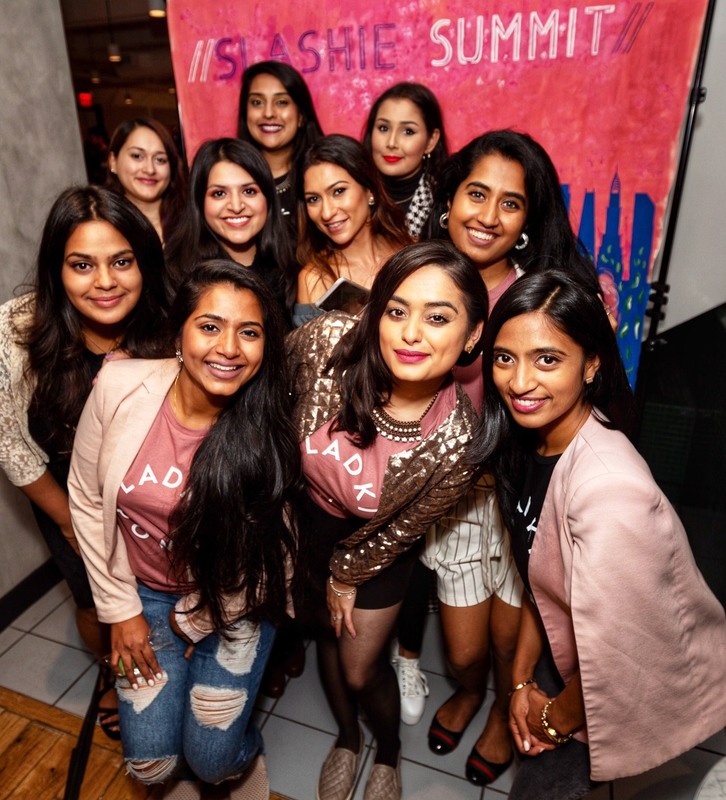 Her family is from Kerala, India, but she grew up in Charlotte, NC and currently resides in New Jersey. She loves making classic dishes like dosas and appam, but also whips up fusion dishes pulling from her love of Southern and Asian flavors. For more recipes, follow Ann on Instagram or on her blog.